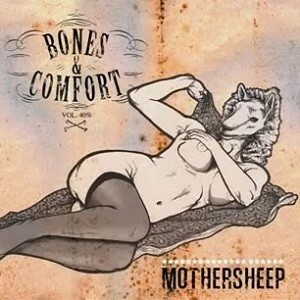 The oddly titled Bones And Comfort are an Italian power trio playing what they describe as ‘Southern/Stoner Rock’. Releasing an EP and playing some live shows, the band have built up to this, their full length debut record. I’m not quite sure what to make of opener ‘We Choose Who Will Stand’. It has a good riff, albeit extremely distorted almost to the point of fuzz. Daniele Murroni’s vocals are a bit distorted too, the drums are loud, the bass growls and everything seems to fight for space. It’s not a bad track, but there’s seems to be too many ideas in it for one song. ‘Tex Mex’ sits atop a pounding drum beat before a very good riff kicks in. The arrangement is much better here, with room to hear everything clearly. ‘Isaac’s Song’ has a growling Black Sabbath feel to the intro, before the guitars get all busy and the song kind of disintegrates. The drums and vocals sound like they are from two different songs and it loses me completely. A rather pointless jazz infused instrumental, led by Alberto Trentanni’s bass, takes place in the form of ‘Unbalanced’, which gives way after less than a minute to ‘Road Pizza’, so I’m not sure why they bothered. ‘Road Pizza’ has another good riff, again with plenty of distortion, before the drums come crashing in. Again, it moves in all kinds of directions and I’d be hard pressed to hum you a single bar of it. This is a problem that plagues the full album. ‘Inhale’ for example has a guitar part that seems to have no relation to the vocal line whatsoever. For every good idea, they cram in two or three more contrasting ideas and I end up losing interest. The album states all the songs are three-way co-writes and that is maybe the problem – perhaps they need someone at the helm to sift through the wealth of ideas and help with the arrangements. There’s certainly potential in some of the work here – some of the riffs are great, but there’s so much going on I wasn’t sure which way to turn.